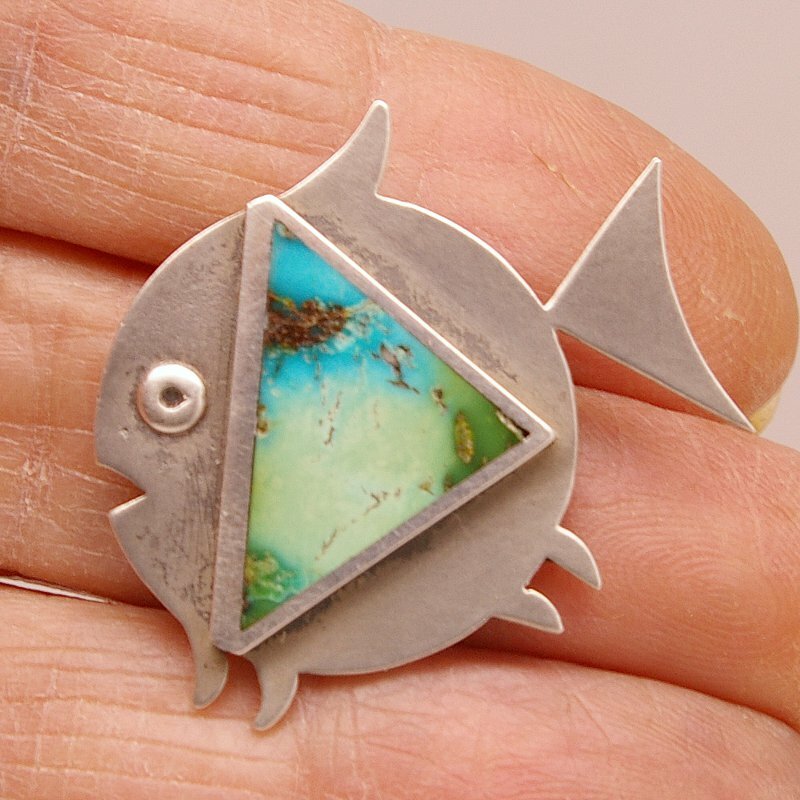 Daniel Lopacki “Danny” Started doing lapidary and metal smithing in 1977 and continues to do so to this day. 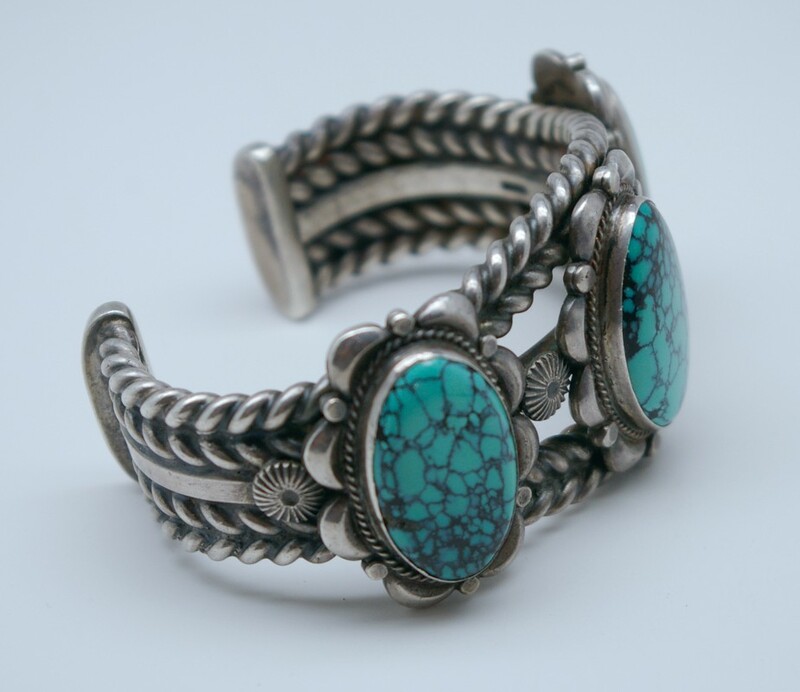 This page shows some of the jewelry we have on hand. I designed this bead in computer software Rhino 3D prior to doing any work on the smiths bench or cutting a stone. When I made the silver work for the bead I did four beads with the idea of having a series. 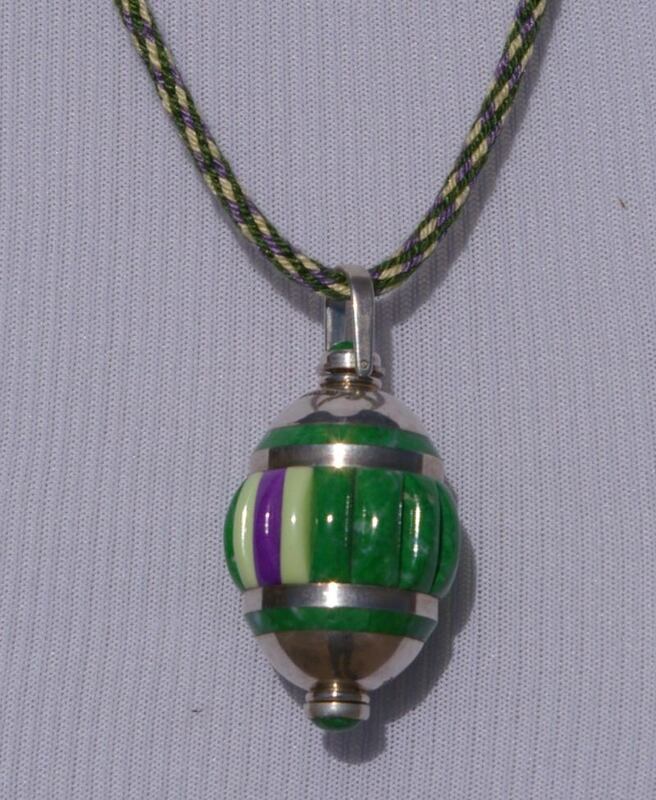 This first bead is named Adam’s bead. The hanger is spring loaded you push the bottom turn it a quarter of a turn and it comes out. 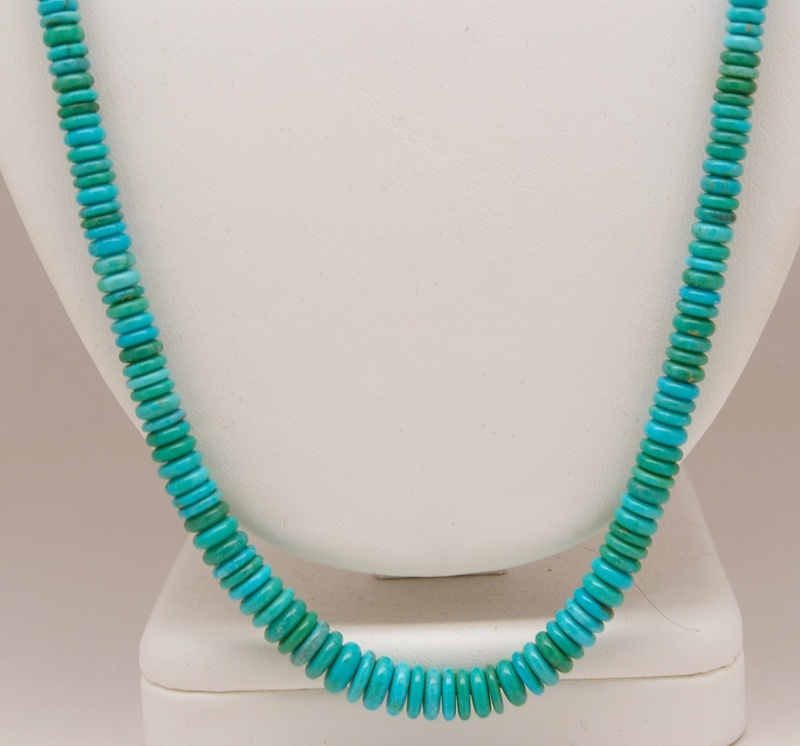 This allows the bead to be worn either vertically or horizontally. The bead hangs on a hand braided Kumihimo style sixteen strand 3 color silk braid made by Suzi Lopacki. 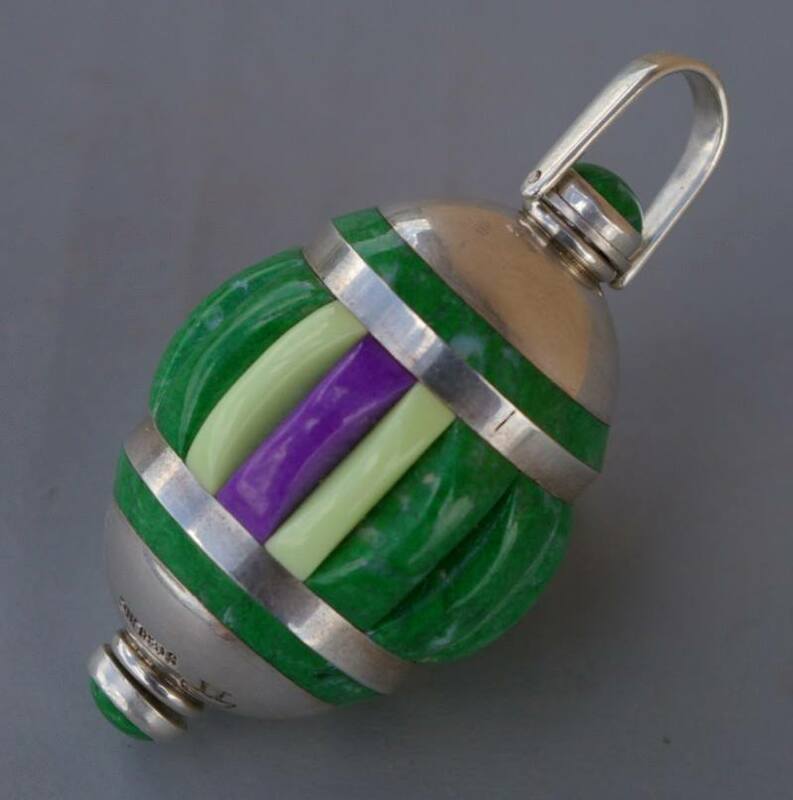 The stone used are Maw Maw Sit Sit (a cousin of Jadeite), Sugilite and Lemon Chrysoprase. 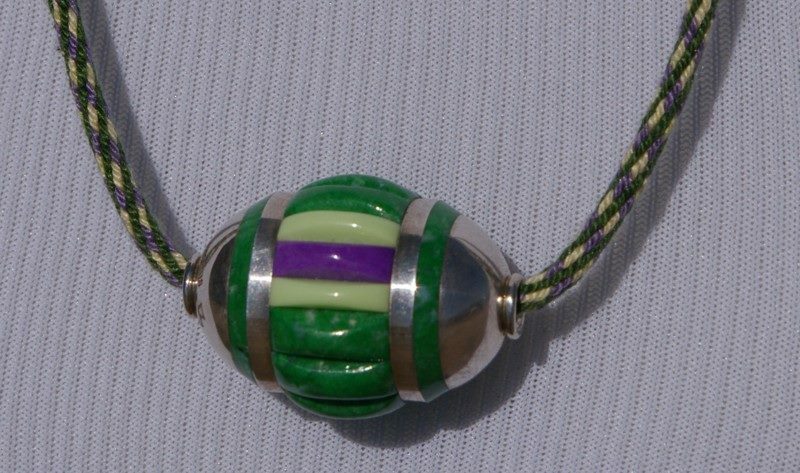 I got a call from a person I made a bracelet for in 1991 asking me if I wanted to buy it back. As I am doing my best to repurchase my older work I asked them to please send an image. 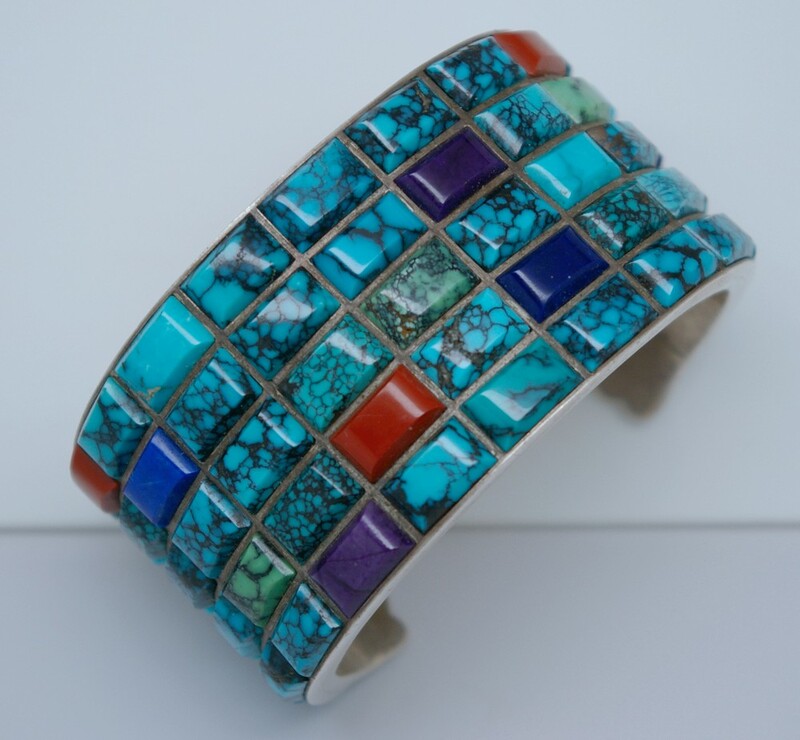 When I got the image I told Suzi I was not sure I had made the bracelet but asked that it be sent down. The bracelet arrived sure enough it was one I made, can’t remember everything you make. 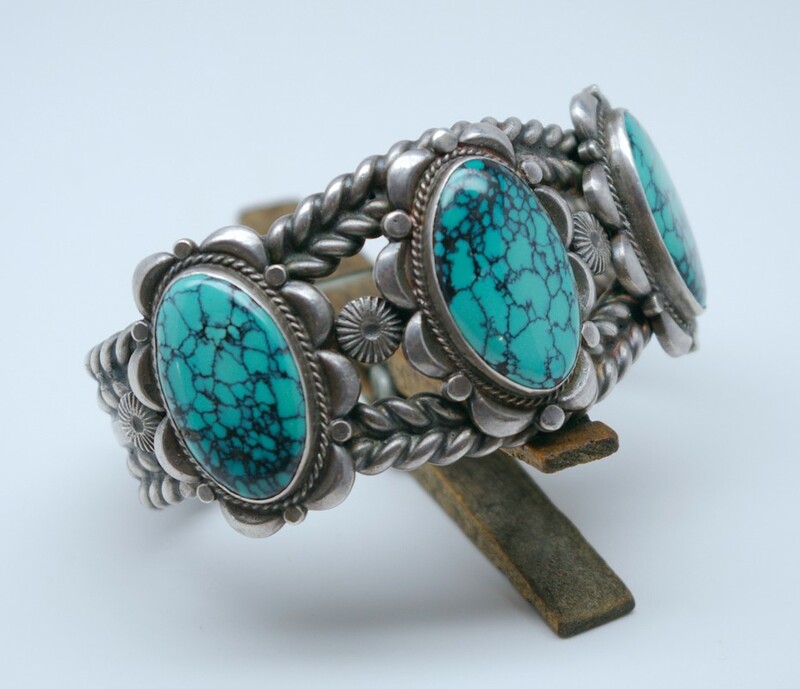 The turquoise in this bracelet is very high quality Chinese with all the cabochons coming from a single nugget. “Danny someone with one of your old bracelets just walk in ” I told him we would be right there. While walking back to the room my thoughts were its probably one of my “Bread and Butter pieces”. When we walked in the room Art said to the person there There’s Danny. The person walked over to me and handed me the bracelet you see below. 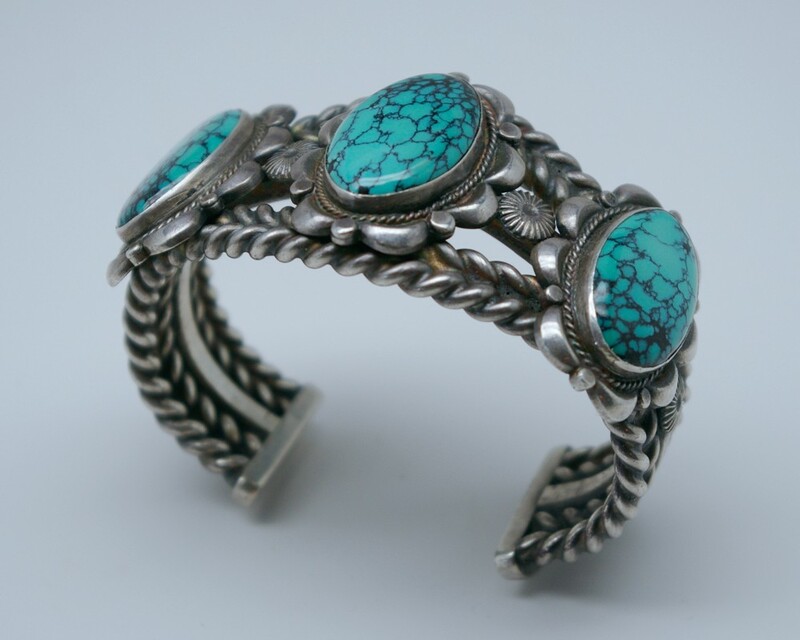 I just about fell over and I had no memory of this bracelet and was amazed at how wonderful it was. My first question "Is it for sale?" 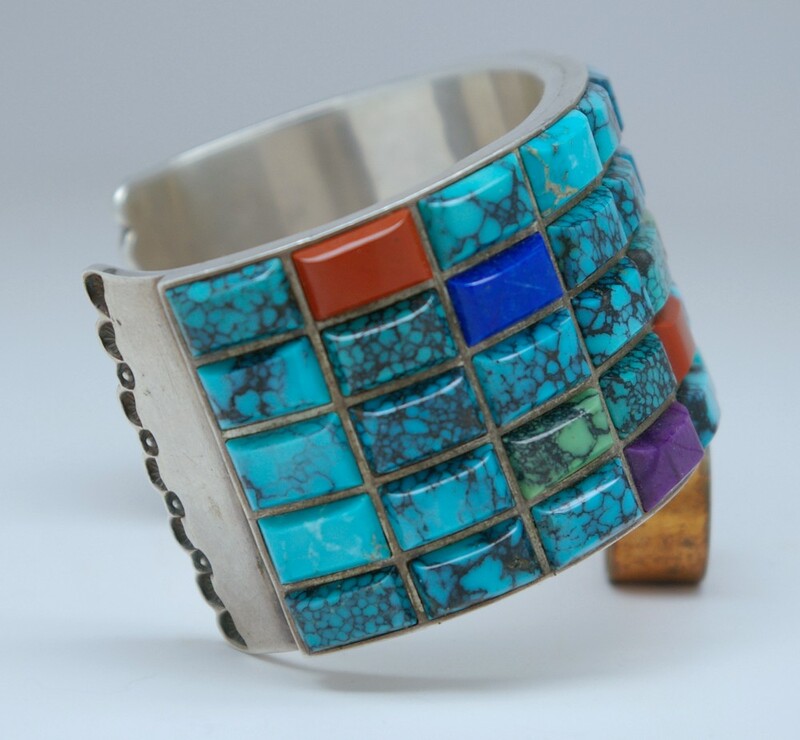 This bracelet has fifty five stones mainly the best of the best Chinese turquoise along with sugilite, lapis and red/orange jasper. 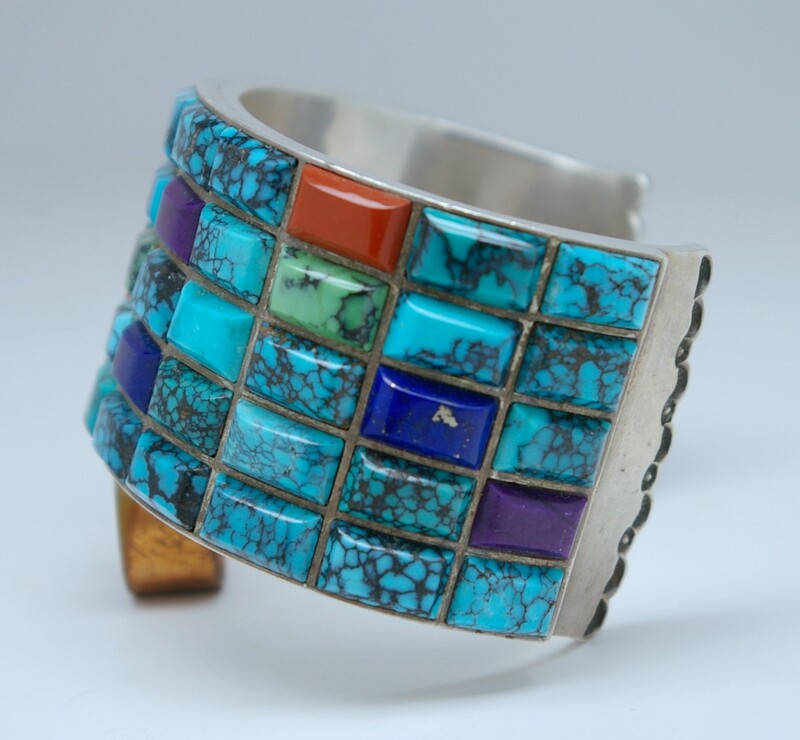 The turquoise in this bracelet is a true catalog of all the looks that came from the main mine in Hubei Provence China. 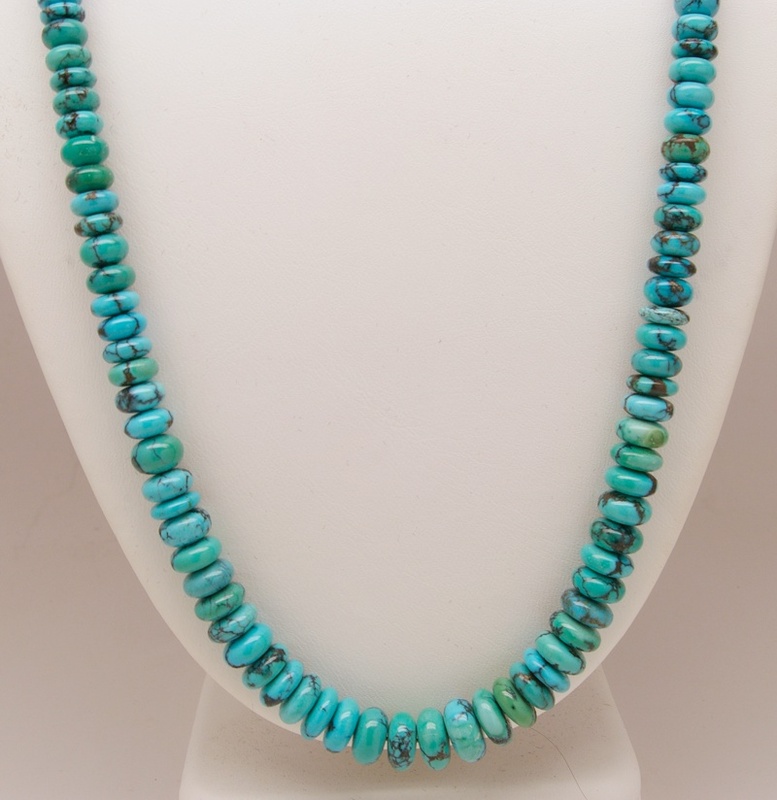 This strand of beads was made in the mid nineties from very nice very dark blue Chinese turquoise. 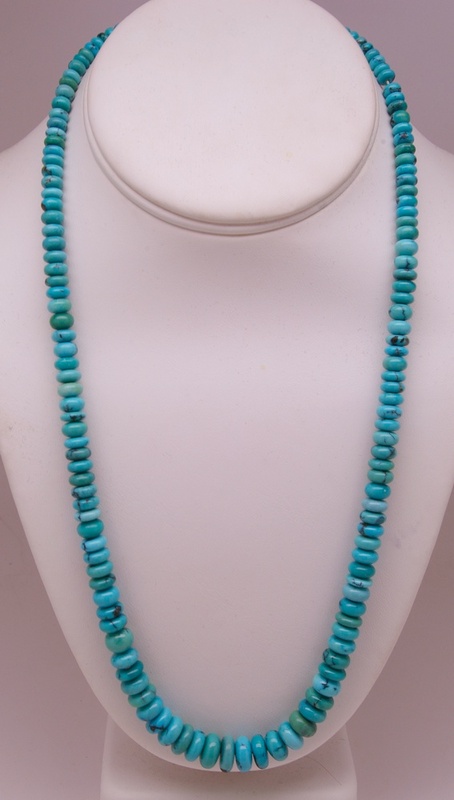 Largest bead 8.8mm smallest 4.7mm length of beads without clasp 15 inches. 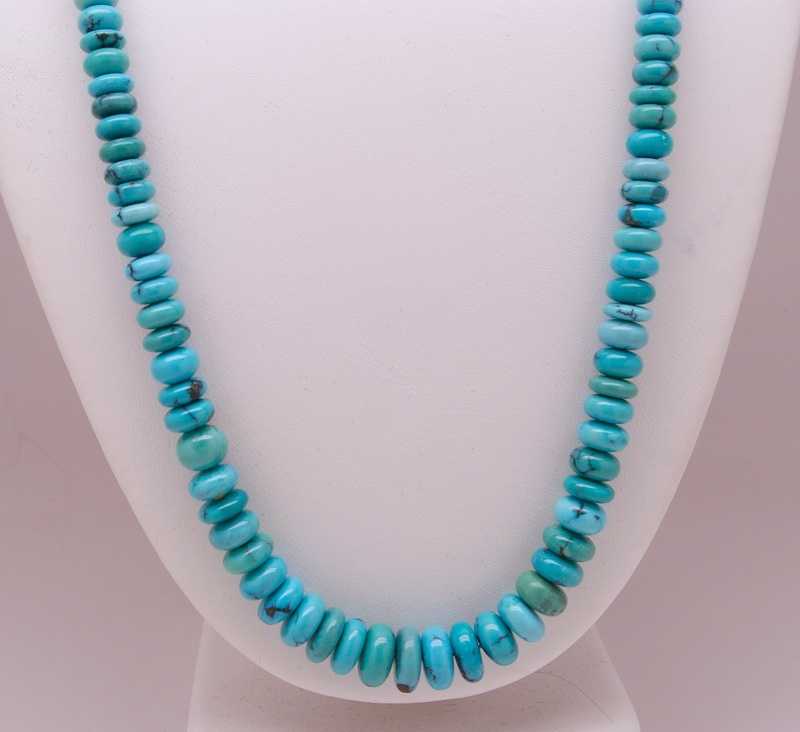 This strand of beads was made in the mid nineties Very nice medium blue Chinese turquoise. 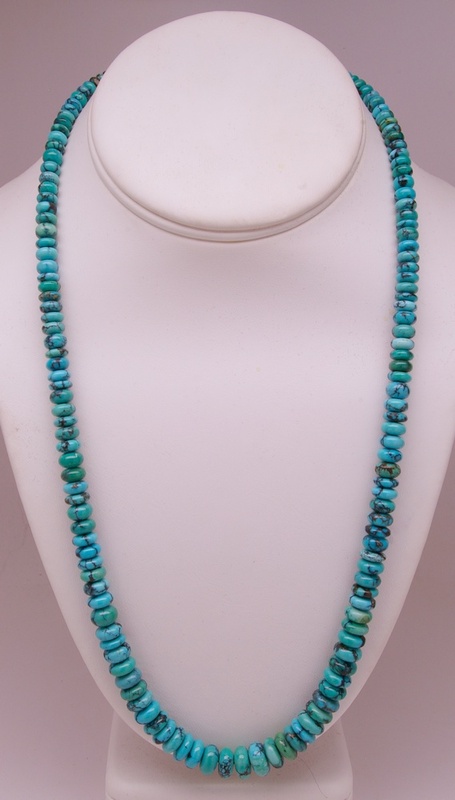 Largest bead 11mm smallest 3.7mm length of beads without clasp 20 3/4 inches. 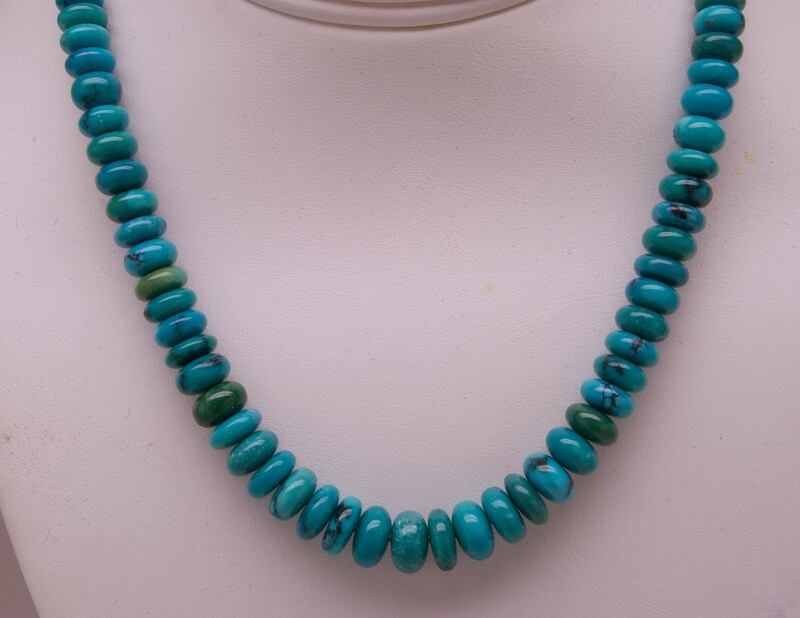 Largest bead 10.6mm smallest 4mm length of beads without clasp 22 inches. Very nice very tiny high blue Morenci, AZ turquoise. Largest bead 7.25mm smallest 2.8mm length of beads without clasp 23 inches. it has my original hallmark so this helps date it as I changed my hallmark to a script “Lopacki” in about 1987. At the time I made this pin I was learning the various techniques required to make something that had the “old style” look. 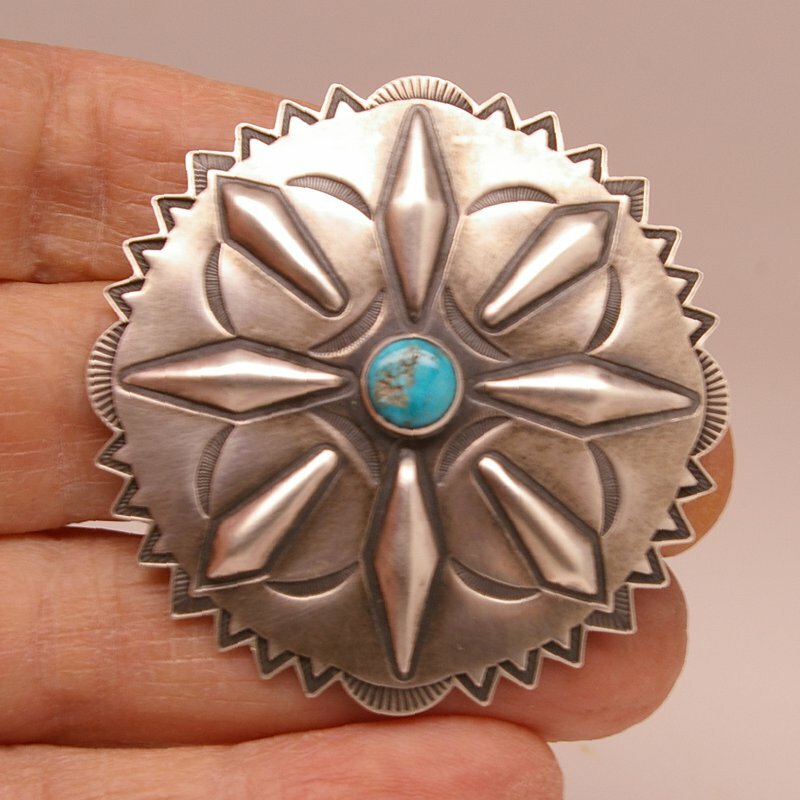 The size of the pin is 2 inches in diameter the stone used high grade Morenci from Arizona. I did a four piece series based on Mimbres culture designs. I got lucky and found three online recently. 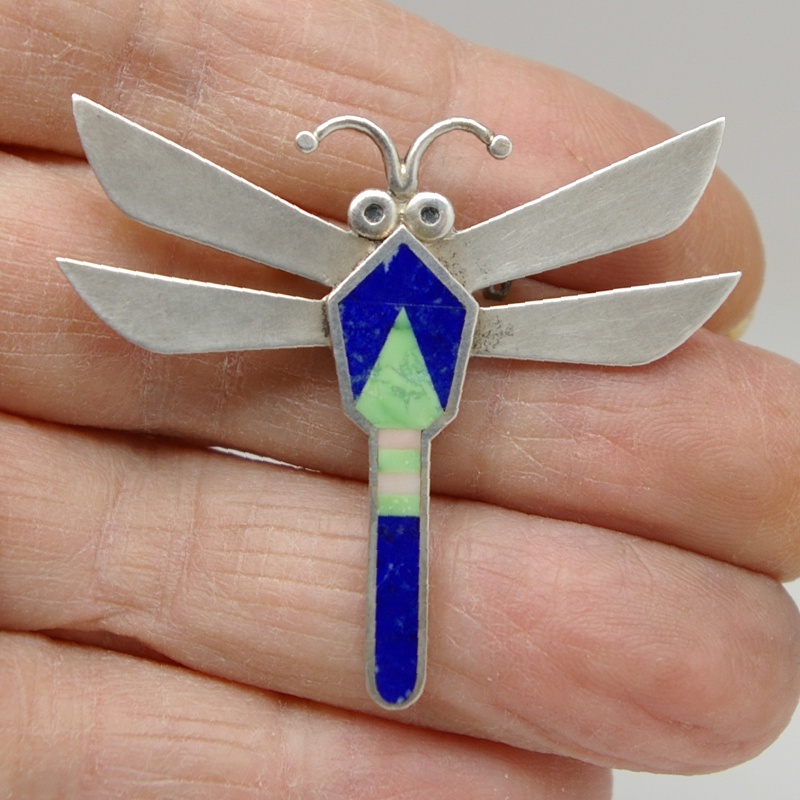 This pin was made in the mid nineties when there were quite a few of them coming out of the studio. 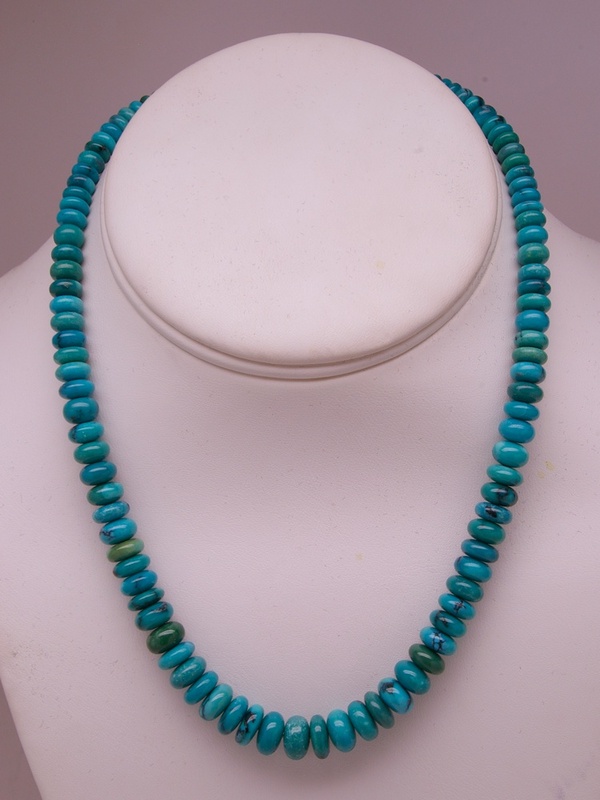 The stone in the pin lapis, northern light turquoise and angle skin coral. The size of the pin is 1.9 inches wide 1.6 inches tall. 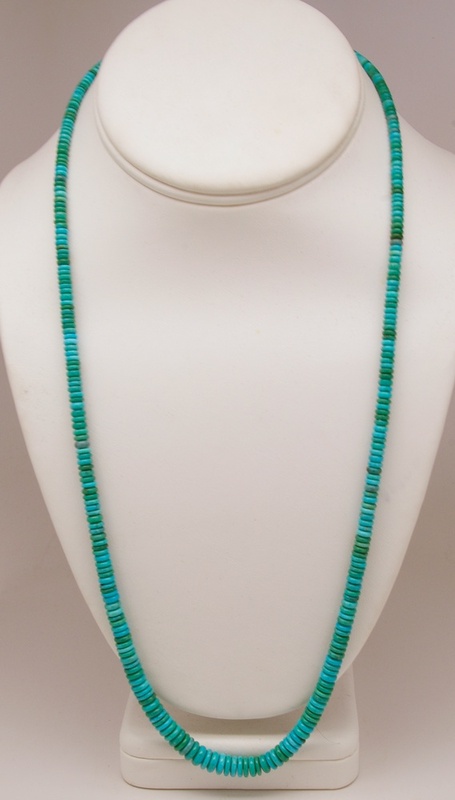 The stone in the pin blue gem turquoise. The size of the pin is 1.3 inches wide 1.3 inches tall. The stone in the pin gold lip MOP jet and spiny oyster. 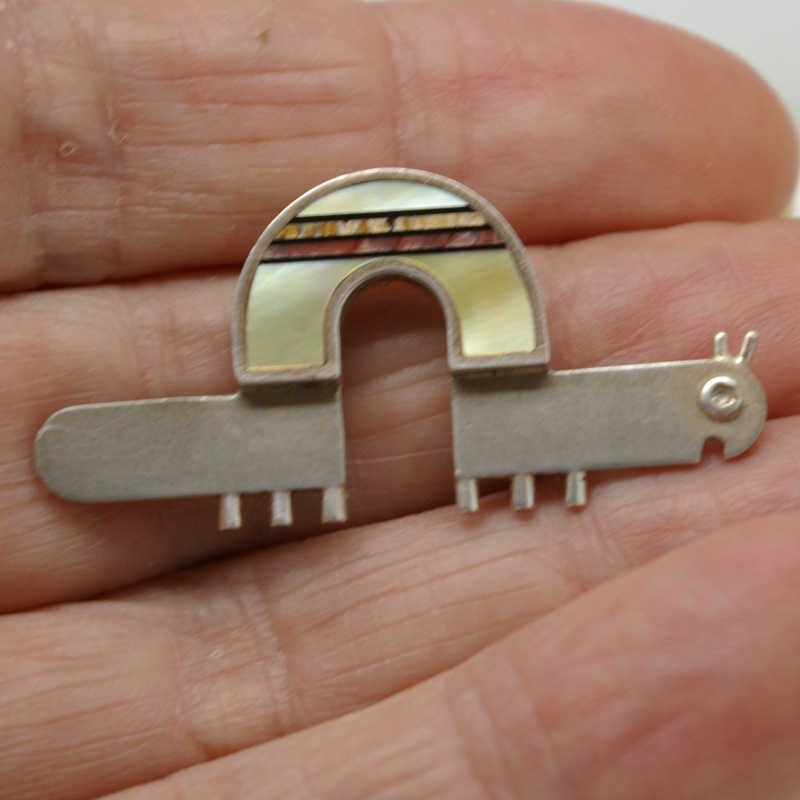 The size of the pin is 1.7 inches wide .81 inches tall. George Bernard Shaw ... "Beware of false knowledge; it is more dangerous than ignorance."